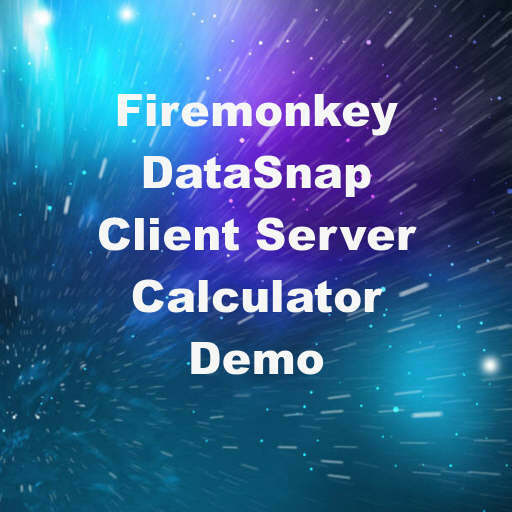 Paweł Głowacki from Embarcadero has a blog post up where he shows how to make a simple client server calculator with DataSnap for Delphi XE6 Firemonkey. This is probably one of the best DataSnap examples I’ve seen because it is so simple. It shows you exactly how to link a server function to a client function and get the results. The demo has two main functions which are Add and Subtract. The Firemonkey based client calls the Add and Subtract functions by passing in two numbers. The actual math operation takes place on the server and the result of the operation is sent back to the client. If you have never used DataSnap before you won’t believe how simple this demo makes it look. The DataSnap server can run stand alone or as an ISAPI/WebBroker (recommended). Best of all is that the client is a Firemonkey mobile project which means it will run on Android, IOS, Windows, and OSX (if you switch the client to a desktop project). This project should also compile in AppMethod. Head over and check out the full blog post about the DataSnap calculator example source code. Or download the DataSnap client server Calculator demo directly.